There are numerous arguments for the benefits of city parks. Living near parks and other greenery has been linked to longer lives and less stress, as well as cooler temperatures and better air quality [PDF]. And now, scientists think that green space might also play a role in teenage aggression. A study in the Journal of the American Academy of Child & Adolescent Psychiatry, covered by PsyPost, finds links between how much green space there is around a child’s house and how aggressive they are as an adolescent. The University of Southern California–led study examined a 1287-person cohort of twins and triplets born in the early ‘90s in Southern California, periodically asking their parents about the children's aggressive behaviors between 2000 and 2012. The researchers then compared how aggressive the children's parents described them to be—such as if they reported their child getting in fights, screaming, or threatening others—with how much green space there was within 1000 meters (3820 feet) of their home, using data on vegetation levels from the Global Agricultural Monitoring Project. They found that after accounting for temperature (heat has long been linked to violence), kids who lived near more greenery were less aggressive. Both in the short term (at one-, three-, and six-month follow-ups) and long, kids who lived in green areas for up to three years were less aggressive, at least according to what their parents reported. Being around more vegetation was linked to the equivalent aggression reduction of 2 to 2.5 years of age-related maturity, the researchers found. This doesn’t directly prove that trees and grass themselves cause kids to be less aggressive, although the researchers controlled for things like traffic, noise levels, self-perceived neighborhood quality, income, and more. It’s possible that there are some other factors in relatively treeless areas that could account for the behavioral changes but weren’t controlled for in the statistical analysis; for example, greenery tends to be a lot more prevalent in rich neighborhoods. If trees really can help calm kids down, which would make sense given green spaces' proven ability to lower stress, the researchers estimate that adding more vegetation to urban neighborhoods could lead to a 12 percent reduction in clinically significant adolescent aggression. In California, they estimate that could help about 9000 kids. 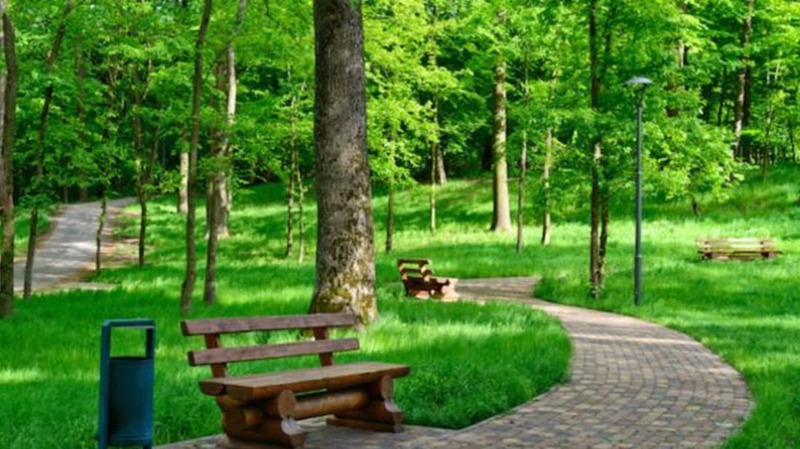 Scientists already have begun recommending at least 30 minutes of nature time a week for health. This is a good excuse to make sure your teenager comes with you.